It started innocently. A celebration, a family gathering, a long-anticipated meal at a casual SE neighborhood restaurant. After trying several times over the months to meet up at St. Jack, we finally got a reservation in time for J’s birthday. The five of us — Margaret, Zandra, James, J and I — snagged one of the shade-side sidewalk tables where we were entertained by not one but two boom-box bicycle parades. Meanwhile several near collisions (bike/person, car/bike) at the precarious Clinton and 21st Street intersection kept us slightly on edge and reluctantly captivated. 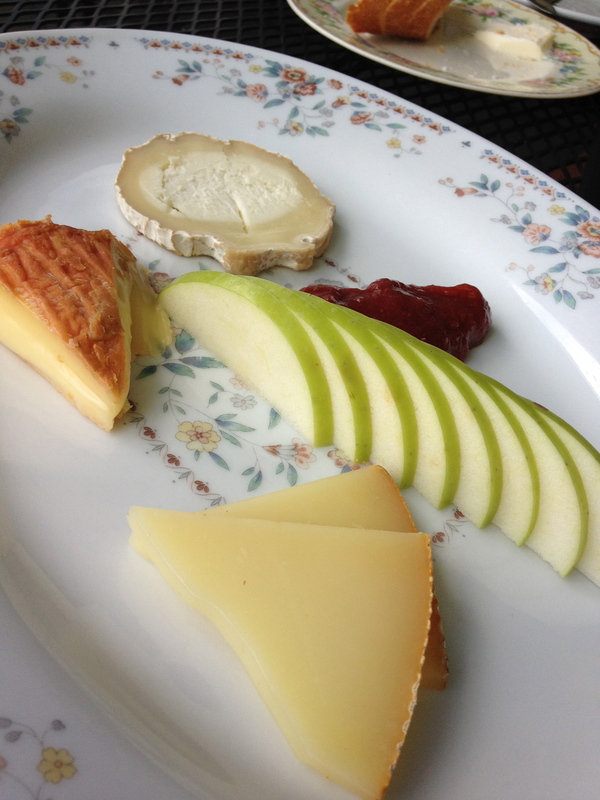 We ordered a bottle of French rosé and perused the menu, a tantalizing French bistro affair. Having recently dined here, James and Zandra suggested the unlisted chef’s-choice tasting menu. Always willing to put our appetites in the hands of a trusted chef, J, Margaret and I jumped on board. With growling stomachs as our guide, we also put in an order for a couple of starters, although Zandra tried to warn us: It was going to be a lot of food. 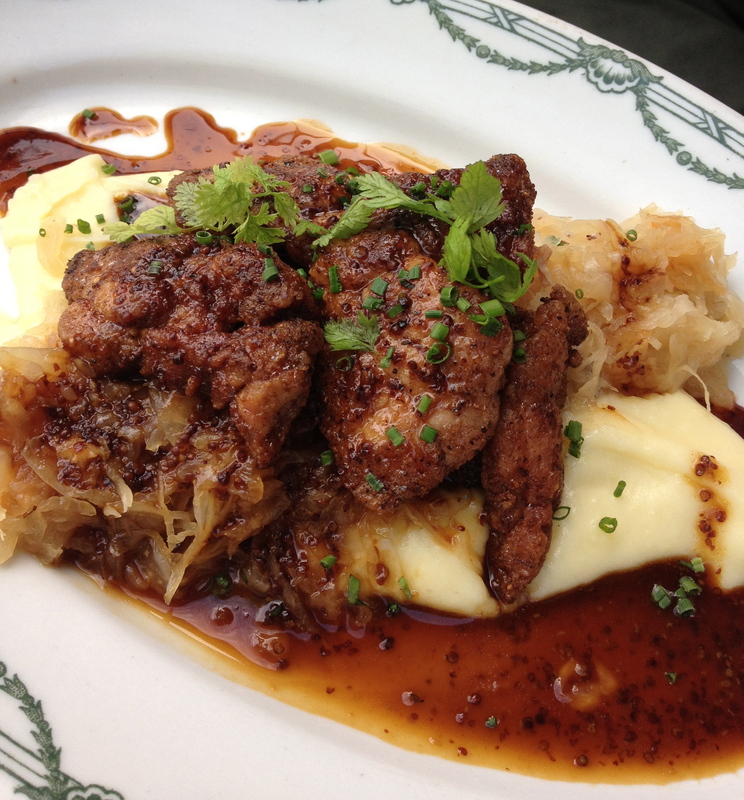 But the fried beef tripe was too intriguing to pass up, and the chicken liver mousse was a solid backup. Our fate was sealed. Plated on mismatched grandma’s china, the mousse and the tripe were beautiful to look at, beautiful to taste. 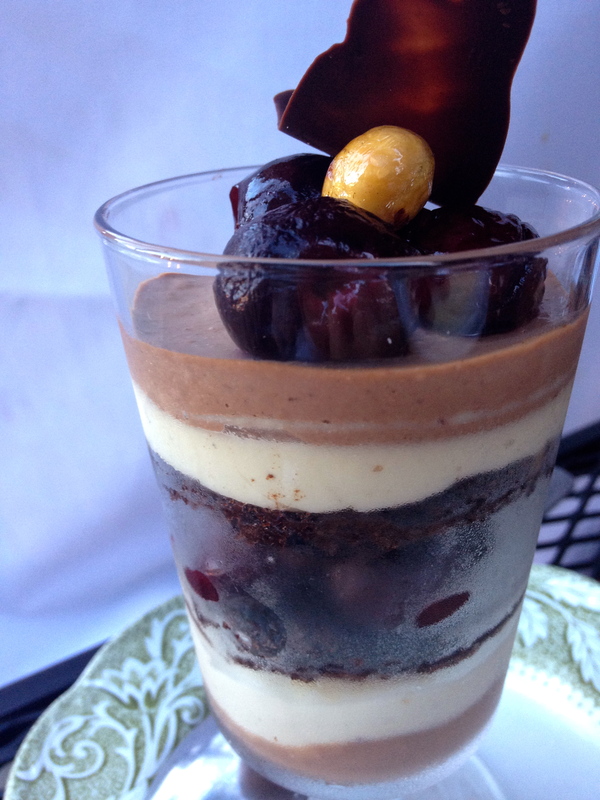 Silky, creamy mousse spread on slices of baguette was earthy and gratifying, but the tripe … oh my. A far cry from the gamey, rubbery tripe I’m familiar with, this had to have been soaked in milk for hours. 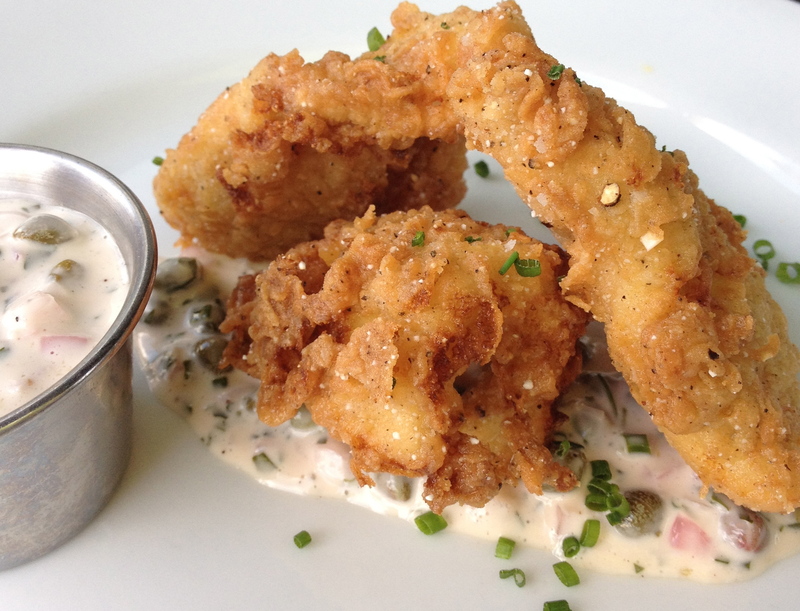 Mildly flavored with a soft, melting texture under the crisp golden batter, and served with capers and red onion mayonnaise, it was simply delicious. How the chef chooses what to serve when given free rein is unknown; our waiter said it was his whim and changes from table to table. I imagine he took a cue from our choice of tripe and chicken liver mousse and decided to send us on an adventure, because the feast that followed is unlike anything we ever would have imagined putting together ourselves. Following our appetizers came our chef’s choice of hors d’oeuvres: a lovely selection of cheeses followed by a composed salad of leafy greens, beans and perfectly boiled egg wedges topped with medium-rare poached salmon. 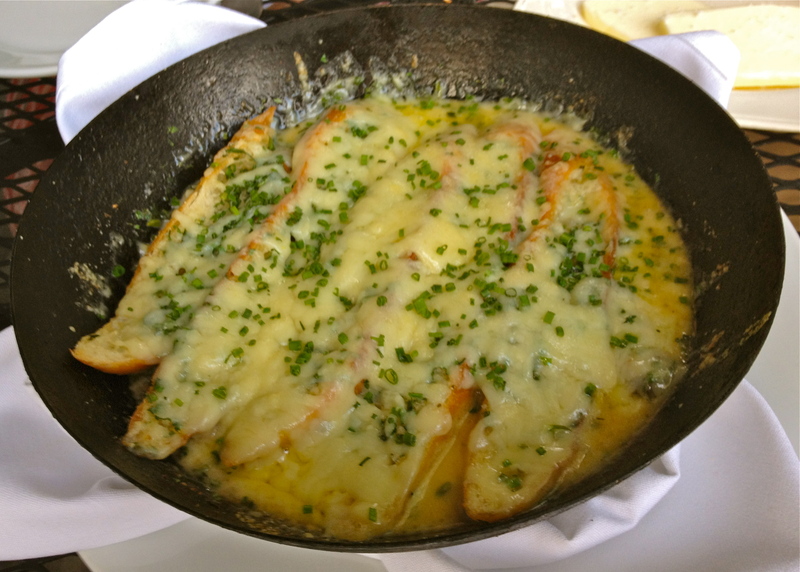 Then came melt-in-the-mouth sweetbreads; tender sliced veal tongue topped with crumbled egg; and fried frog legs en persillade, a white wine and lemon sauce with parsley, garlic, capers and a healthy dose of butter. The line between hors d’oeuvres and plats principaux was blurred with the arrival of gratin d’escargots, a decadent melted melange of Gruyere, ham, snails, mushrooms and herbs over crouton. By this time we could have been done and happily so, but two empty bowls foretold the coming of shellfish. 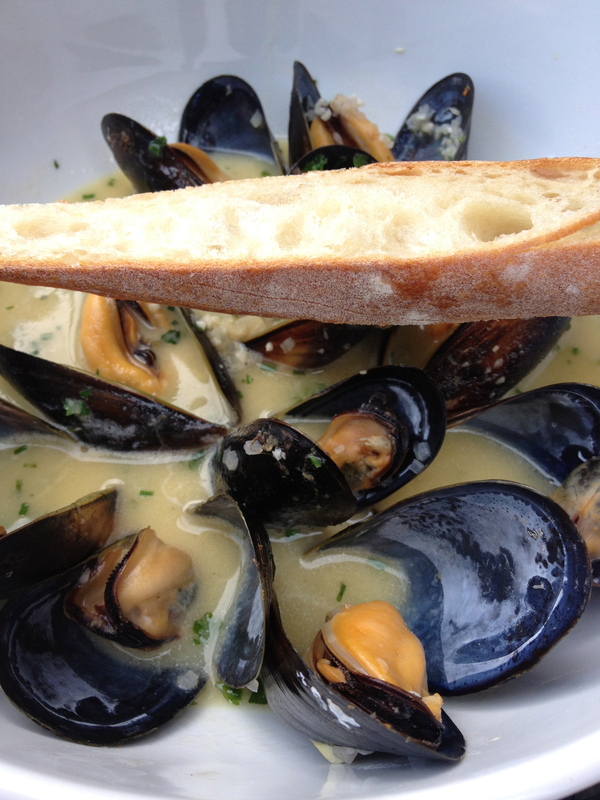 And, lo, two servings of plump mussels landed in front of us, swimming in a soppable soup flavored with garlic, fennel and vermouth. But nothing could have prepared us for the pièce de résistance: a platter mounded with white bean ragout, whole baby carrots and crispy roulade of tête de cochon. I guess you could rationalize that the white bean ragout cut the fat of the that incredibly rich, butter-soft pig’s head, but there was no denying the decadence of this dish. The decadence of this meal. By the time the tête arrived, I had forgotten the existence of my camera, which is probably for the better. Such gluttony is best left undocumented. I wish I could say common sense took over and this is all we ate. But no. We had a short break to let it all settle before the arrival of the dessert parade: rhubarb mousse cake with crème fraîche and poached rhubarb; a pillow of Italian meringue in a pool of crème anglaise topped with the reddest, freshest strawberries; chocolate and cherry trifle; and a small terrine of still-warm homemade madeleines lightly dusted with sugar. Oh, and because it was J’s birthday, he received his very own mini cannele — a tiny molded cake with a firm custard center. Complete with candle. Goodness. 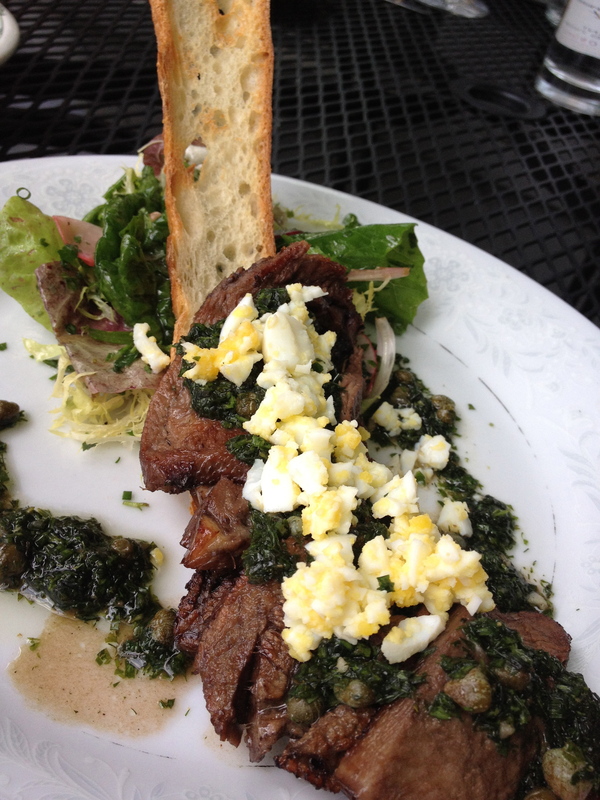 We went into St. Jack expecting an excellent meal because we’d heard only raves. But I can honestly say that it’s been years since I’ve had a meal like that, and we probably won’t see another like it anytime soon. A memorable feast, a decadent celebration. 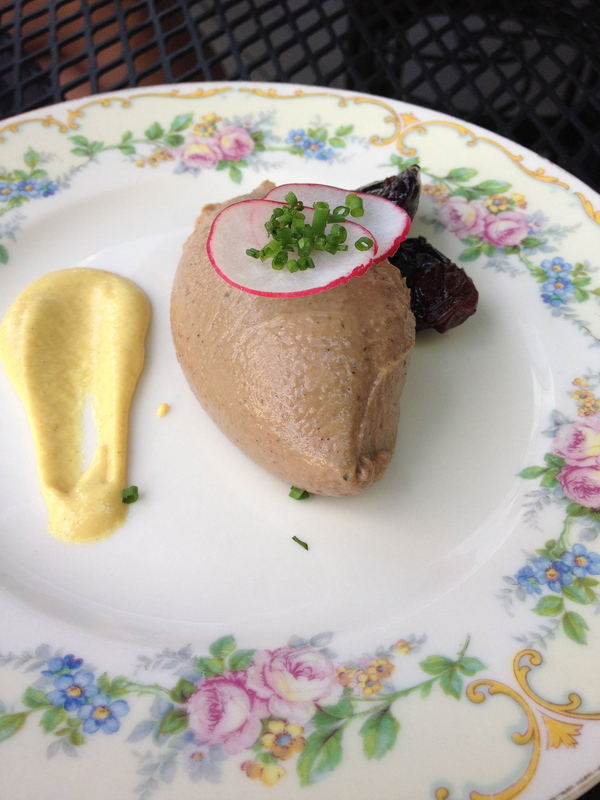 Chicken liver mousse as pretty as dessert. Like no other tripe I’ve tried. 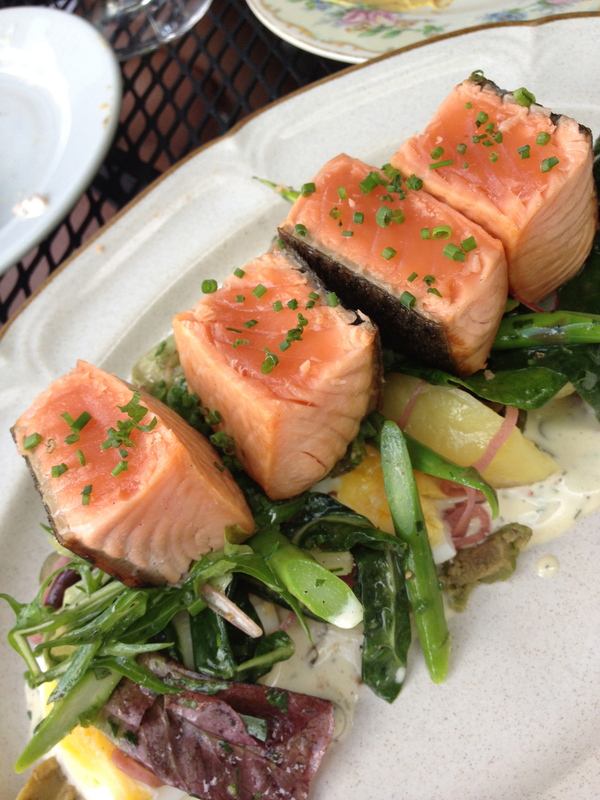 A composed salad with salmon and eggs. 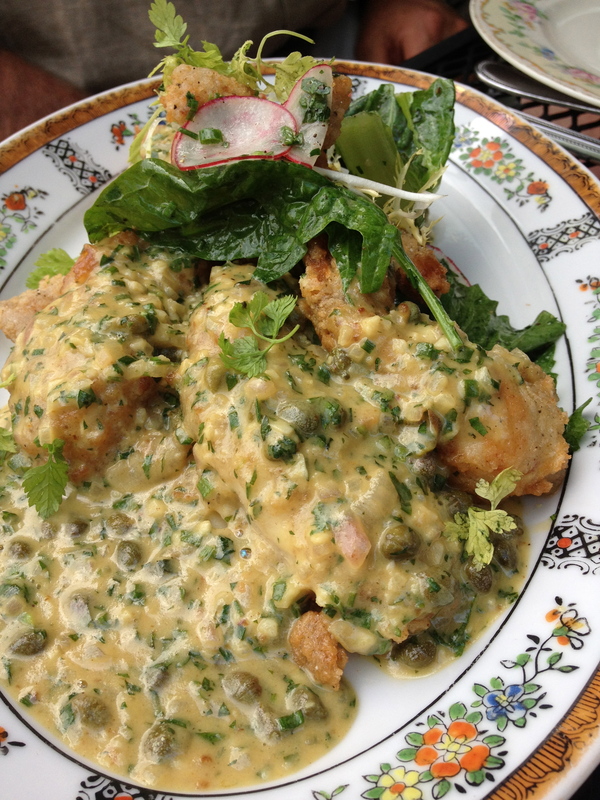 Frog’s legs in a zingy caper sauce. Ham + cheese + crouton + escargots = Melted goodness. Plump mussels in soppable broth. 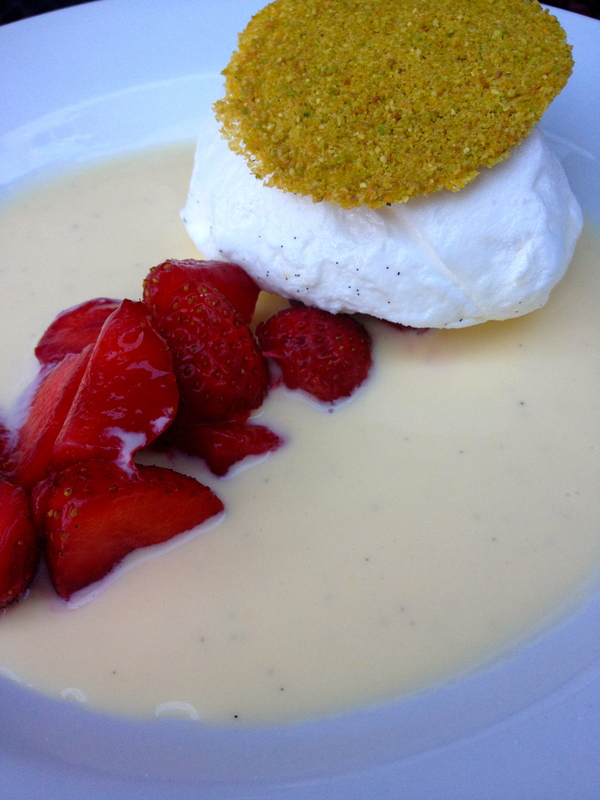 Italian meringue reminded us of Marshmallow Fluff, in a good way. 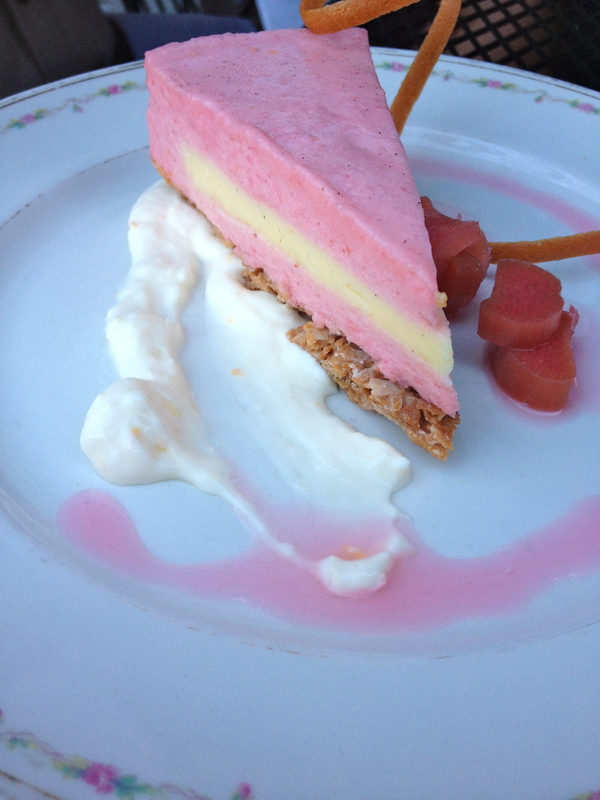 Rhubarb mousse cake, so pretty in pink. 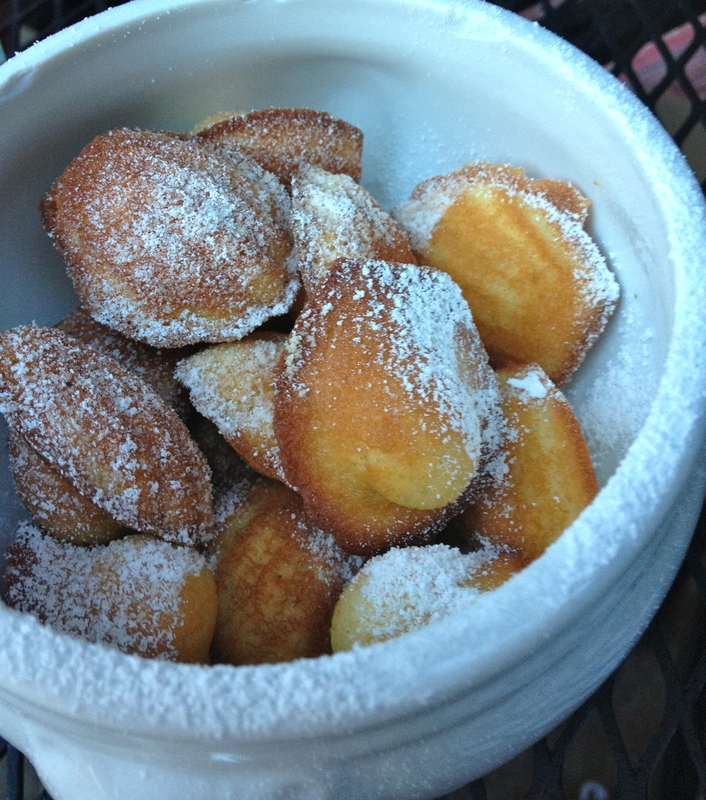 Still slightly warm from the oven, homemade madelines. Dark summer fruit turned naughty. I had forgotten what a gluttony it was till I saw the photos again, oh my. I know. It was a bit much, but well worth every calorie. Your descriptions are so vibrant, sounds like a place to visit again & again. I love anything soppable. And the desserts, a taste of each please! Thank you! It was really quite memorable.